The Spor-Klenz family of sporicidal agents is specifically formulated for sterilization and disinfection of hard surfaces. Their stabilized blend of peracetic acid, hydrogen peroxide, and acetic acid provides quick, effective microbial control, including spores. 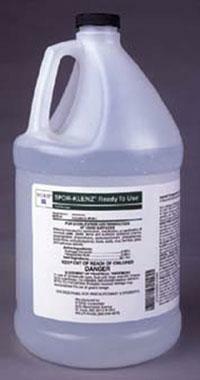 Spor-Klenz Ready-To-Use offers a low toxicity profile and requires no mixing or activation.